Dr Sanjay Sarin joined FIND in September 2015 as Head of Country Operations for India and Head of Access Programme for Asia Pacific. 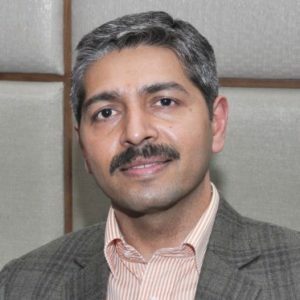 He has a doctorate from PGIMER, Chandigarh, India and close to 20 years’ experience in health policy, market development, and business management. Sanjay joined FIND from Becton Dickinson (BD), where he was Regional Director of Global Health for the Asia Pacific region and was responsible for design, development, and implementation of BD’s public health strategies. Sanjay has also served as Regional Lab Advisor (India & South East Asia) with the Clinton Health Access Initiative (CHAI) in the past.